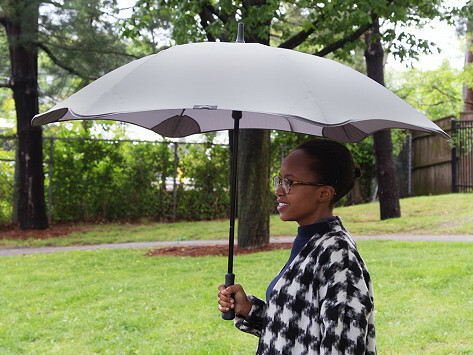 This classic durable umbrella provides an unflappable aerodynamic structure for maximum control, even in the most demanding weather. I own 4 of these, nice umbrella's! 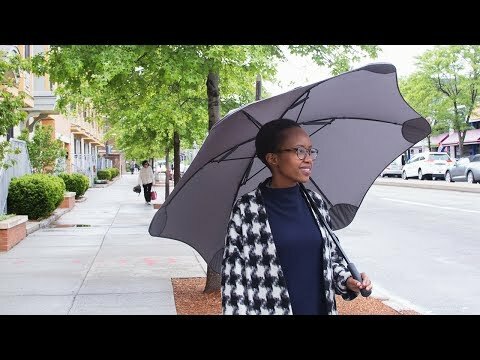 I couldn't go back to using any other umbrella again after these. Quality!!! I recently received a Blunt classic. It is a very well engineered product. Thought I have not yet had a chance to use it in windy conditions, given the quality of the materials and the well thought out design I do not anticipate any problems. Most importantly, I would like to thank the Grommet team for their excellent customer support. I experienced problems with shipping of this product, and their support team instantly took care of it. There are not many companies that provide this level of support. I think for the money it's well made. This umbrella’s a keeper. It’s strong, stable, aerodynamic, and easy to control, even in high winds. It’s NOT a flimsy excuse for raincover that’s going to wind up in a landfill after the first big gust. Inventor Greig Brebner, a New Zealander, had many close calls with inverted umbrellas and sharp umbrella tips. At nearly 6’ 3”, Greig tends to be at eye level with bent, twisted umbrella frames. He set to work to give the traditional umbrella a long overdue makeover, working at his kitchen table with a glue gun and some kite material. The rest is history. Low profile with a tensioned canopy, The Blunt can withstand wind without putting stress on the carrier. The “radial tensioning system” uses double struts and telescopic ribs for a strong, aerodynamic umbrella with no sharp points at the edge. The fabric won’t easily tear away from the covered tips and bystanders (and you) won’t get poked.